With the Labor Day holiday upon us, I am reminded of childhood memories regarding one of my favorite holidays. Back then, Labor Day weekend served as the last big hurrah of Summer break. Mixed emotions ruled the day, not wanting the Summer vacation to end just yet while simultaneously anticipating the new school year, making new friends, and learning from new teachers. Part of me missed what was, while being anxious about what was to come. The roads of the past always look better in the rearview mirror. In America, Labor Day is a public, federal holiday celebrated on the first Monday in September. Labor Day honors the American labor movement and the vast contributions workers make day in and day out to the prosperity and well-being of the nation. Unofficially, it marks the end of summer in the US. Starting in the late 19th century, as trade unions and labor movements blossomed, workers proposed setting aside a day to celebrate hard work and the working class. In 1887, Oregon became the first state to recognize “Labor Day” as an official public holiday. The US government made Labor Day an official federal holiday in 1894. Perhaps, being from a working-class family and having deep working-class roots, explains why I am so fond of Labor Day. In my mind, it celebrates ordinary people doing our best to provide for our families and perform our work with excellence. I remember staying up later than usually allowed to watch the Jerry Lewis telethon, a TV marathon raising money to fight muscular dystrophy and featuring a plethora of entertainers. In those days, I longed to be an entertainer. These cats could sing, dance, play, act and make people laugh. As a kid, I loved making people happy and hearing them laugh. I tried my hand at a multitude of things, including playing piano, participating in plays, and putting on magic shows. I remember being fascinated by magicians performing their illusions and card tricks. One of my favorite presents ever was a “Presto Magic Show” kit that I got for my birthday one year. In those years, I learned to do quite a bit of magic and developed decent skills as an illusionist (That’s my story and I’m sticking to it. LOL). Learning how to do these tricks, helped me break the ice and entertain people who came over to our house. Like it remains today, back in those days, Labor Day was a lake holiday, filled with boat rides and cook outs. My folks and I would travel out to Lake O’ The Pines, meeting up with friends, and swimming in the big lake. Lake O’ The Pines is one of the most beautiful lakes in Texas, playing polar opposite to it’s nearby cousin, Caddo Lake. The two lakes are diversely different. Both are beautiful in their own right. One is a man-made reservoir, whereas the other is a natural phenomenon. Lake O’ The Pines covers an area of nearly 17,000 acres, surrounded by gorgeous pine trees tipping into the sky. The lake contains a wide array of fish, including large mouth bass, spotted bass, catfish, white bass, crappie, sunfish, and chain pickerel. There are parks and campgrounds bordering the lake, and ample boat ramps scattered throughout the expansive lake area. Sweet T and I will spend the holiday visiting my Mom and enjoying the piney woods and fresh air of East Texas. Maybe we’ll even take a trip out to the lake to spend time basking in God’s wondrous nature showcased amid man’s ingenuity. 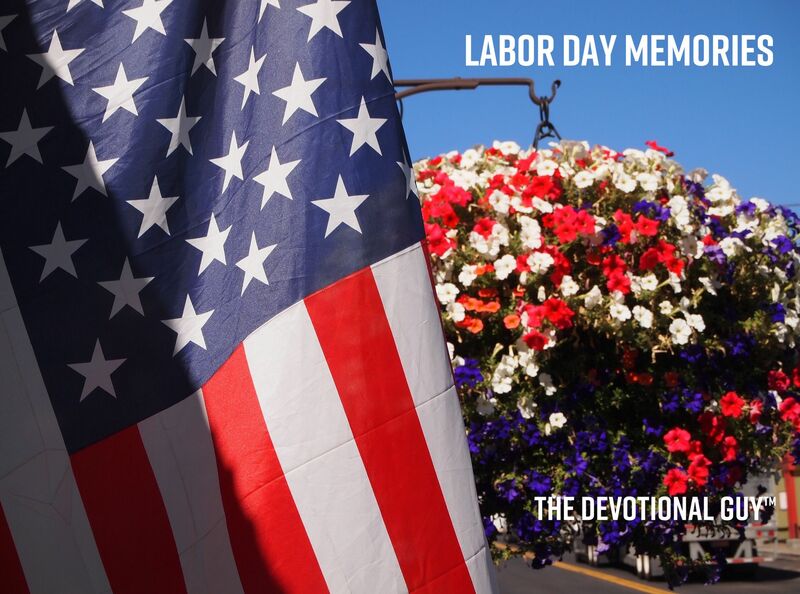 How will you celebrate the Labor Day holiday?